Skydiving over the Dead Sea is a thrilling, extreme activity above the clouds. Jump off of a plane flying at 8000 feet while the glorious Dead Sea and Masada landscapes are spread before your eyes, far below. At the skydiving club, you'll see the view from takeoff until you land safely after skydiving. The guides at the skydiving club enforce the highest and most rigid safety standards. 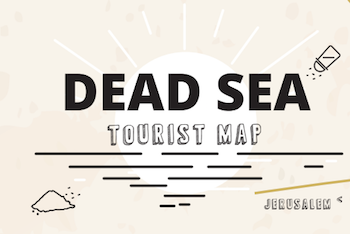 At the landing strip, you'll find a Bedouin tent, restrooms, parking, and of course – skydiving over Masada and the Dead Sea.